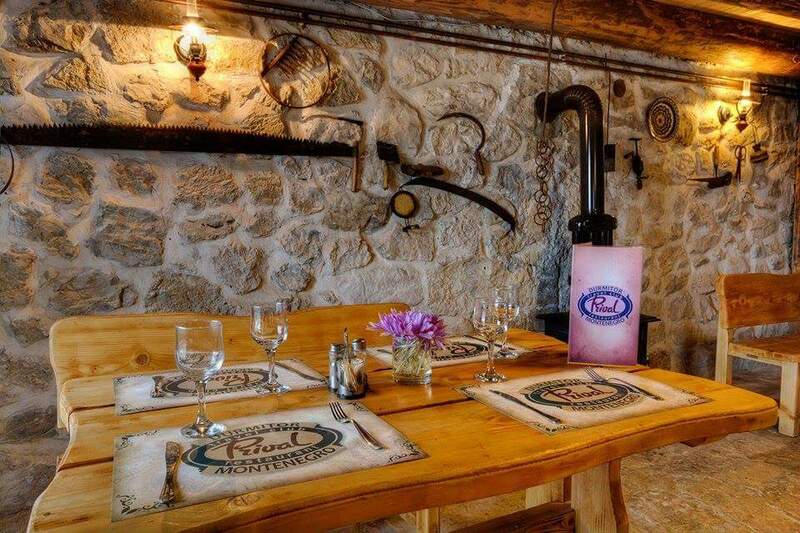 Luxury chalet in traditional historic style in the village Žabljak in the national park of Durmitor. 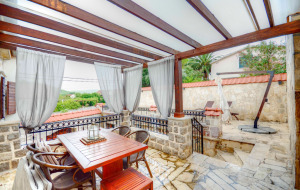 Spacious and at the same time cozy two-storey house made of natural wood and stone, with the fireplace hall and dining area, ideal for spending time with family or friends, rest and relaxation. 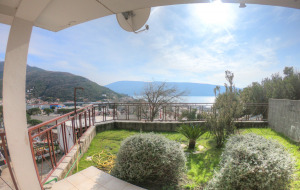 On the ground floor there is kitchen with all necessary appliances (big refrigerator, stove with oven, microwave, kitchenware), comfortable dining area for 10 persons, bar counter, and two bedrooms with separate beds. On the first floor there is a large bedroom, which can accommodate up to 4 persons, with French bed and convertible sofa, and two smaller bedrooms with separate beds. On each floor there are bathrooms and toilets. 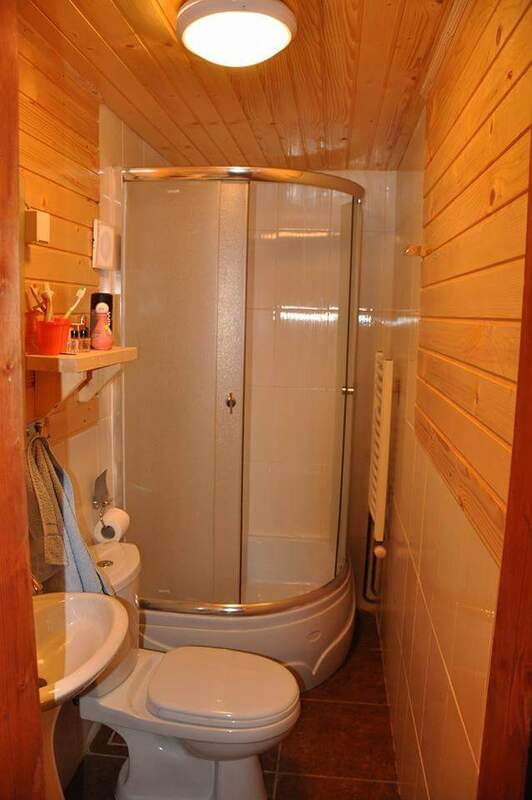 In total the house has 6 lavatories and 5 separate bedrooms. 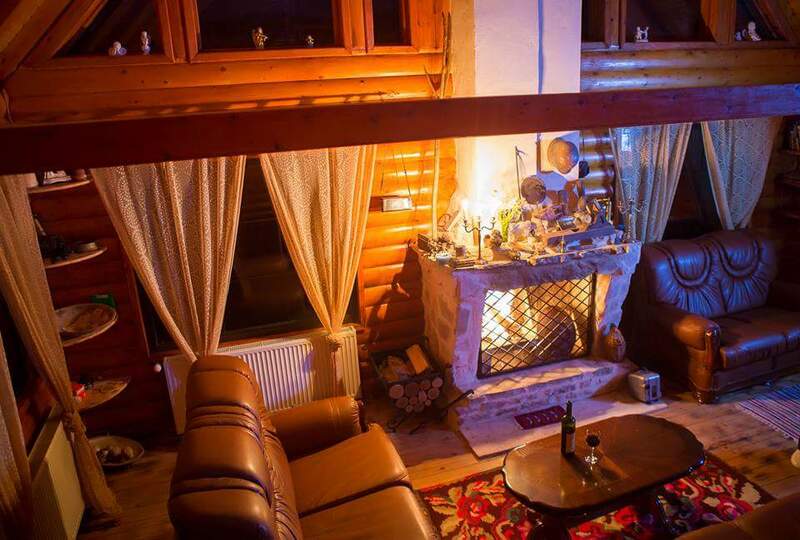 Big comfortable living room / lounge with fireplace, sofa and armchairs is located on the first floor. 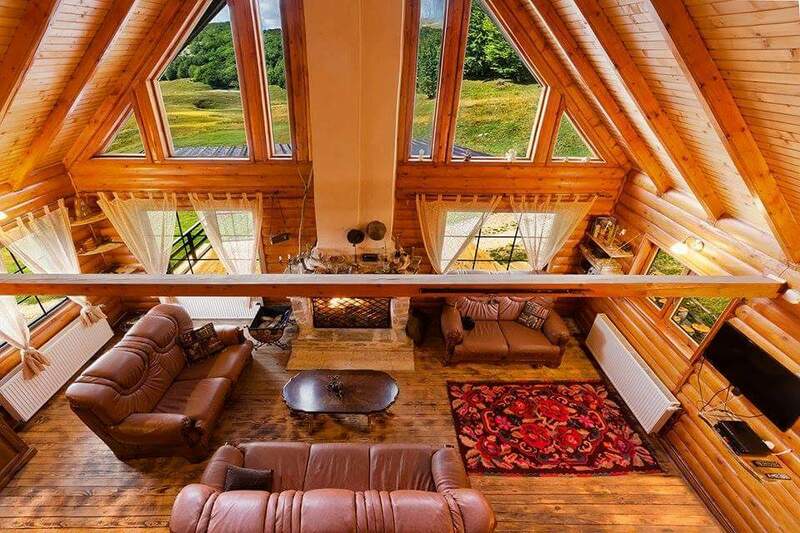 From the large open terrace one can enjoy astonishing views on mountains of the national park Durmitor. 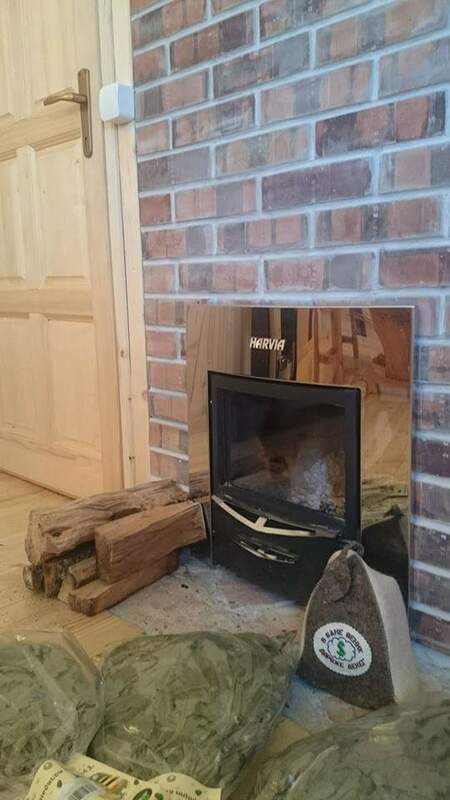 The house has everything for comfortable and unforgettable stay: modern TV, DVD player with USB plug, Wi Fi, grill area on the terrace, roasting-jack, brazier, Montenegrin “saće” and Russian sauna (“banja”) made of wood. For those who like outdoor activities there are trekking poles and snowshoes, as well as the tent, sleeping bags and fishing rods. The house also has a garage and a basement with the washer. 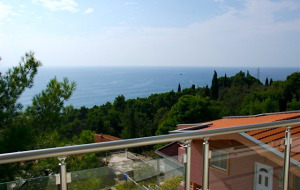 Within 3 km from the chalet there is supermarket, pharmacy, cafes and restaurants. 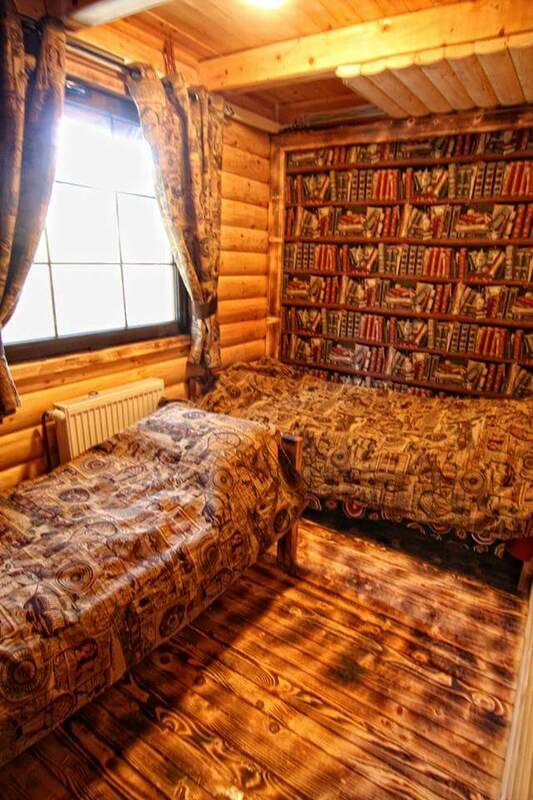 Chalet is surrounded by picturesque meadows and mountains, away from the noisy neighbors. 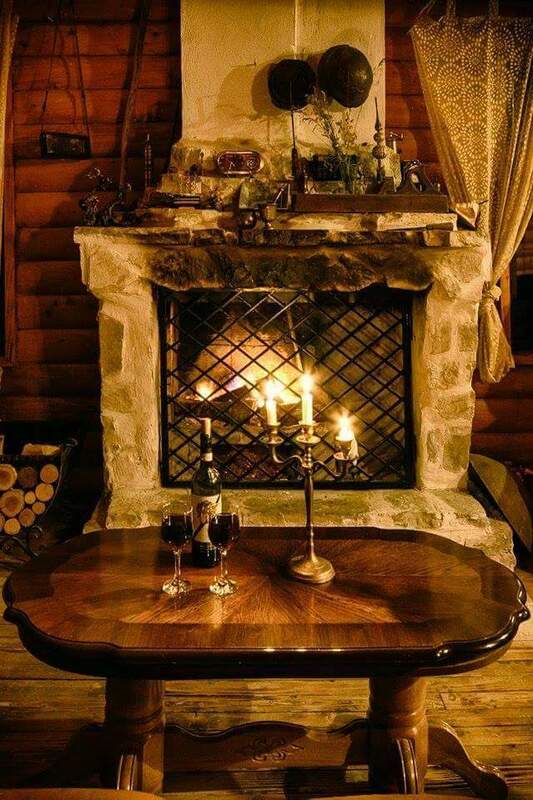 No one would disturb you regardless of what you’ll be doing there: spending a peaceful evening, listening to the wood crackles of the fireplace, contemplating the beauty of Durmitor or throwing a big loud birthday party for friends. 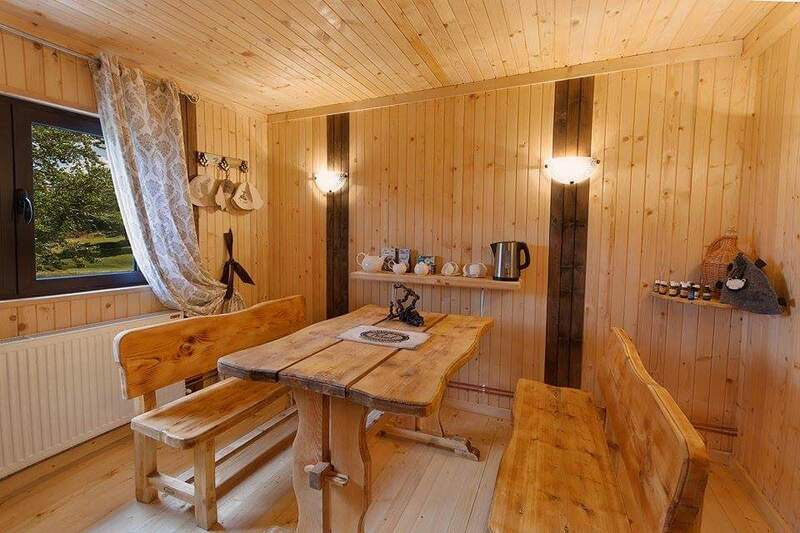 This house is suitable for person with any mindset: passionate for children, friends, bikes, dogs, seekers of loneliness, romantics, or relaxation. Chalet has a unique location on the territory of national park, so no new buildings are allowed to be built there. It has a good business history of receiving guests and organizing events. supported by photo and financial reports. Property price includes the land of 1500 m2, with foundation of additional house and centuries-old beech forest. Cadastrial area of the house is 250 m2, the real area is 310 m2 since some additional facilitiies have been built: sauna with the room above it 20+20m2 and garage of 20 m2.